In this increasingly digital age, why should you be including Out of Home media? Why consider OOH when digital online and mobile are king? In this second installment of our 3-part series, “An Introduction to Out of Home”, we are going to touch upon not just why Out of Home should be considered, but why it should be a core media buy for any plan. Now that we’ve covered what Out of Home is in Part 1 (What is Out of Home Media) and you have an understanding that it’s much more than just billboards, let’s look at why OOH makes sense. But first, let’s ask ourselves the why behind the why. What is the purpose of good advertising? To let an audience know who we are, what we do, where and when they can find us, and what’s in it for them? And, to move that audience to action. Sure, but does it make sense to provide that promo message for a university to your parents or even Medicare insurance ads to millennials? And, as we learned in part 1, with the variety of Out of Home available there are media formats that reach consumers in almost every aspect of their lives, be it commuting, shopping, or recreation. Always ON – it’s everywhere, it can’t be turned off, blocked, or skipped. It’s “real”….real views of real ads by real people, no bots. It intersects with people’s daily lives at multiple touchpoints, especially when the audience is most open to messaging and action. We spend 70% of our waking hours outside the home. It’s a statistic that has been around for a while, but that doesn’t change how important it is. 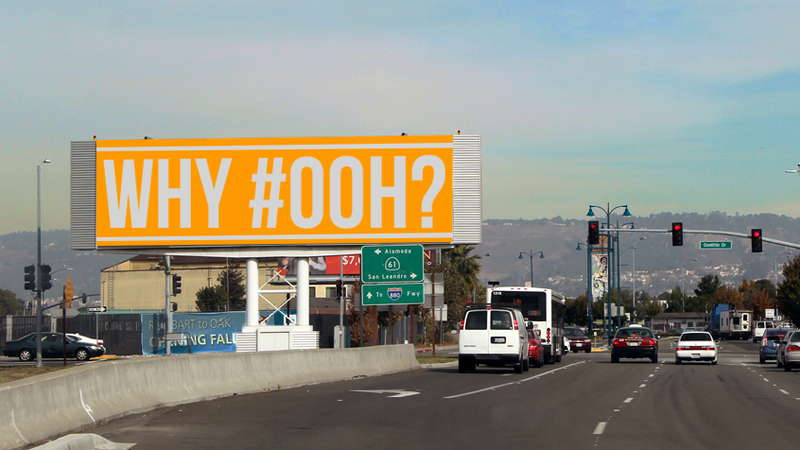 With the amount of time we spend outside the home, OOH is a media that intersects with a large part of our daily lives. The net effect of all of this, is that Americans spend a large portion of their lives in the same environment as Out of Home media, which is always visible and can’t be skipped. Cost is always an important consideration when building a media plan. How many impressions will I get? Will they reach the right audience. What’s the ROI? Out of Home excels in this area for a couple of reasons. 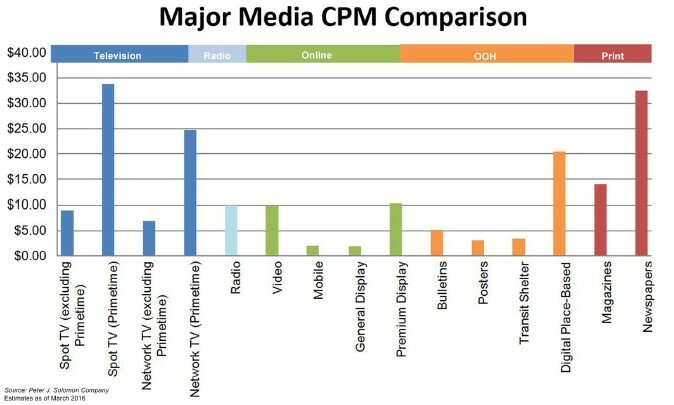 First – The CPM’s are very competetive compared to other media. Second – It’s highly targetable. 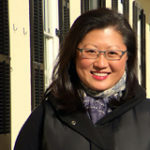 With ever-increasing data avail from our mobile phones and other connected “smart” devices, we can target more effectively, getting the right message to the right segment at the right time and place, saving money at the same time. Not all media is created equal; depending on objectives, the same media formats will serve different results depending on its application. There are lots of different choices, based on the market and the target audience. This means there’s always more than one way to reach your audience. Want to reach family decision makers – maybe we’re looking at malls, supermarkets, fitness clubs, and coffee sleeves….want to reach Millennials – then maybe we’re talking about subways, transit shelters, and an experiential activation with a mobile overlay. This also allows for a lot of creative flexibility to serve a specific message based on a specific audience at a given time and place. Between dayparting creative messaging, RSS feeds and live content streaming, the possibilities are limitless. OOH extends reach, and amplifies other media – particularly search and other online. 68% of mobile use is “on the go” (Criteo Mobile Report, 2014) – that means people use their mobile devices at the same time and place that they encounter Out of Home media. With questions about “real” views for online advertising, many have concerns about how to amplify and increase the effectiveness of the existing digital online media spend. According to a recent study Out of Home ROI and Optimization in the Media Mix by Benchmarking, an Omnicom company, OOH is more effective in generating Revenue ROI in comparison to other media formats (Realizing the Full Potential of OOH Media). Out of Home media also excels at driving online activation. Another recent study—this one by Nielsen—showed that OOH outperforms other media at driving search at almost a 4:1 ratio compared to the budget dollars spent. With its ability to drive online activation and boost the ROI of digital media, and to do so very cost effectively, Out of Home is a key to help amplify digital efforts. With the huge surge of mobile data changing the way we look at audiences, marketers are just beginning to capitalize on a shift in media planning. Mobile data is creating a new picture of how an audience segment behaves in the real world – not just where they live, but where they GO. This allows for much more precise OOH placement. Instead of messaging served to wide swath of the general audience, Out of Home can now use that Big Data to serve the right segments at the right time. We are just at the beginning of the curve for the transition of Out of Home into a data rich media. As new technologies and platforms are developed, and as more OOH becomes digital, it will allow for creative on Out of Home to be catered to a more specific audience in real time. Real time analysis will allow for context based creative to be delivered based on the make-up of the audience for that display, making the media more relevant and timely for the audience. Out of Home is everywhere. It’s cost effective, and increases the ROI of other media – particularly digital. It offers a wide variety of media choices allowing for high targetability and creative flexibility. Want to see Part 3? Click here! If you’re considering Out of Home for the first time, or need help justifying its inclusion in your media plan, contact us to set up a call. We’d be happy to help you with some facts and figures on what OOH can bring to your media plan.